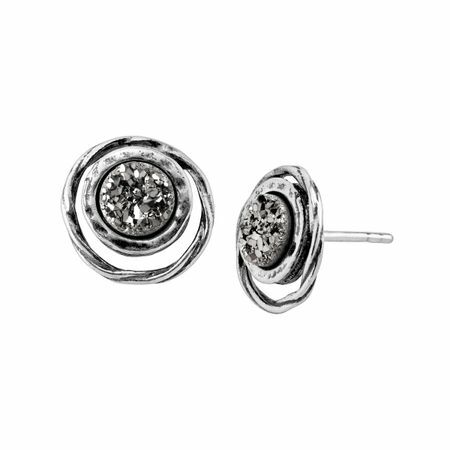 Shine like the brightest star in the galaxy with these textured studs. Bright silver druzy quartz are accented with wiry halos of sterling silver for a chic look that can be dressed up or down. Earrings measure 1/2 by 7/16 inches and feature posts with friction-backs. Pieces come with “.925” sterling silver stamps as symbols of guaranteed product quality.